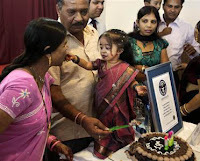 eNLokam: Jyoti Amge the shortest woman in the world! 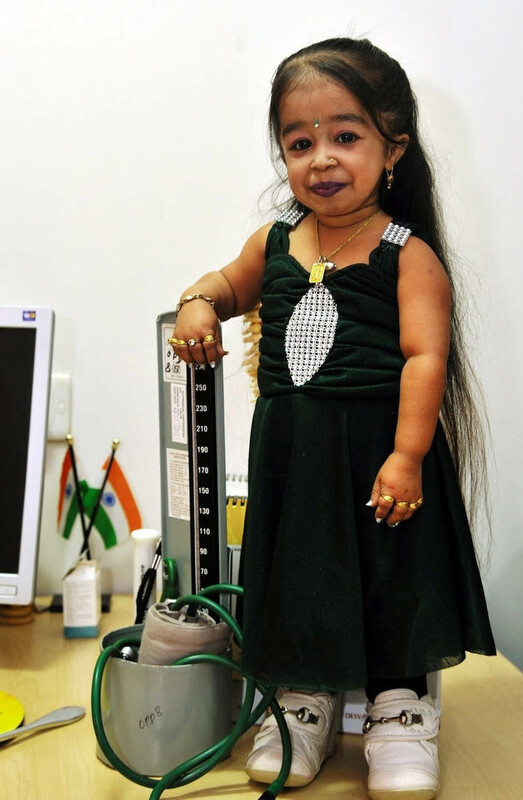 Jyoti Amge the shortest woman in the world! 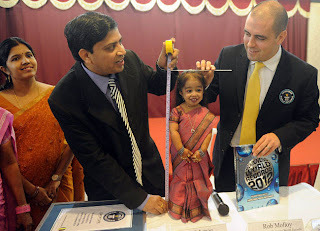 India stood at top with Jyoti Amge who is the shortest in the world! She thinks not being tall is her strength and she feel grateful for being small. 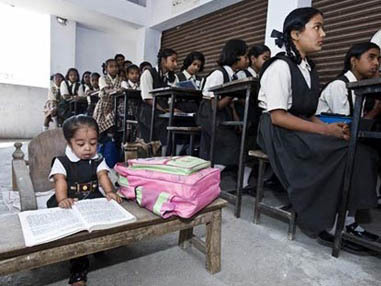 This is Jyoti, a high school student from Nagpur, who was recognized by Guinness Book of World Records as the shortest woman in the world on 17th December 2011. This honour came as a birthday gift when she turned 18. Jyoti Amge stood just 62.8 centimeters (24.7 inches) tall, shorter than the average 2-year-old, when Guinness representatives visiting from London measured her at a special ceremony. She also cut birthday cake at the function. Even though she is the shortest her dreams are not so short. She dreams of one day becoming a Bollywood film star as well as pursuing a university degree. Jyoti captured the honour from another tiny, the 22-year-old American Bridgette Jordan, who previously held the record. She measured 7 centimeters (2.76 inches) shorter than Bridgette Jordan. This was not Amge`s first Guinness record. Until Friday she was considered the world`s shortest teenager, but in turning 18 qualified for the new title. She has grown less than 1 centimeter in the last two years, Guinness said in a statement, and will grow no more due to a form of dwarfism called achondroplasia. However, the title of shortest woman in history continues to be held by Pauline Musters, who lived in the Netherlands from 1876 to 1895 and stood 61 centimeters (24 inches) tall.